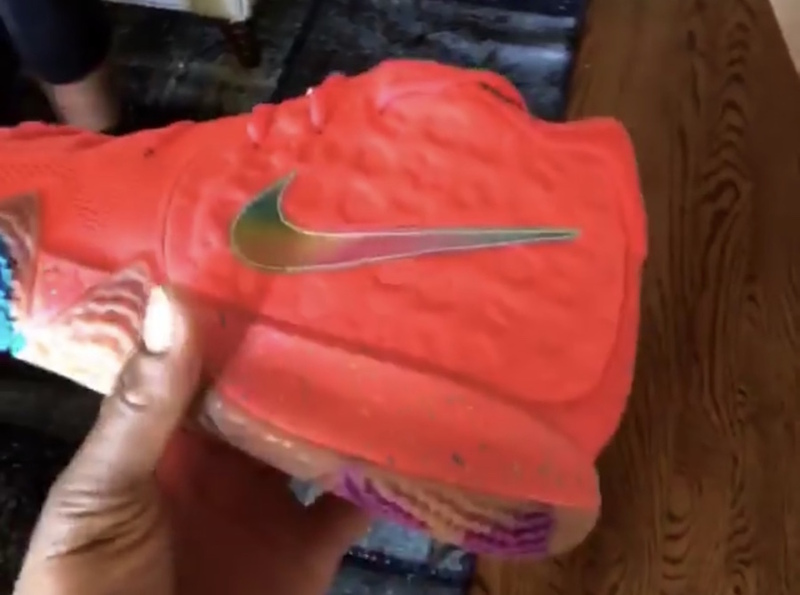 Following the debut of the Nike Kyrie 4 Wheaties, Nike Basketball will be releasing more cereal-inspired Kyrie 4 colorways as part of an upcoming Cereal Pack. 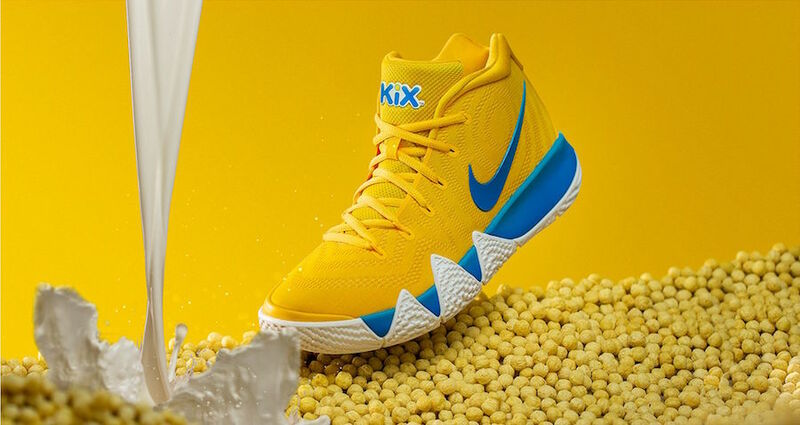 Aside from the Wheaties pair, the Nike Kyrie 4 Cereal Pack includes the Cinnamon Toast Crunch, Lucky Charms and Kix colorways. Each shoe comes branded with the cereals name branded on the tongues dressed in their respective colors, as well as custom insoles. 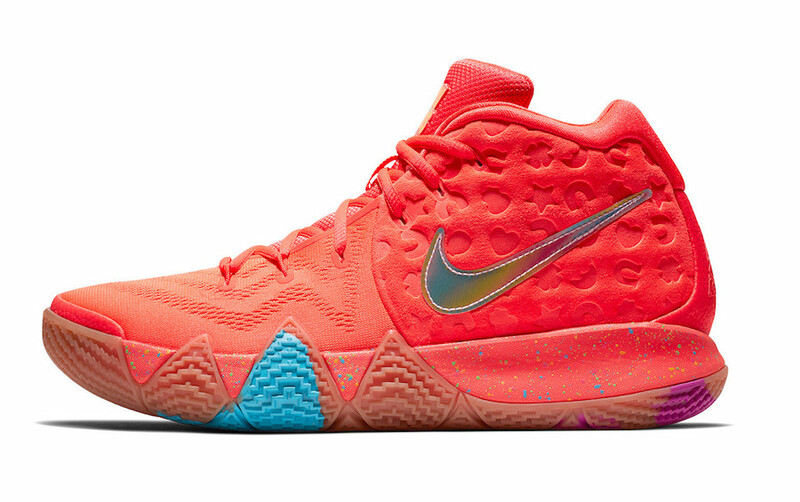 Look for the Nike Kyrie 4 “Cereal Pack” to release on August 11th at select House of Hoops locations. The retail price tag is set at $120 USD each. 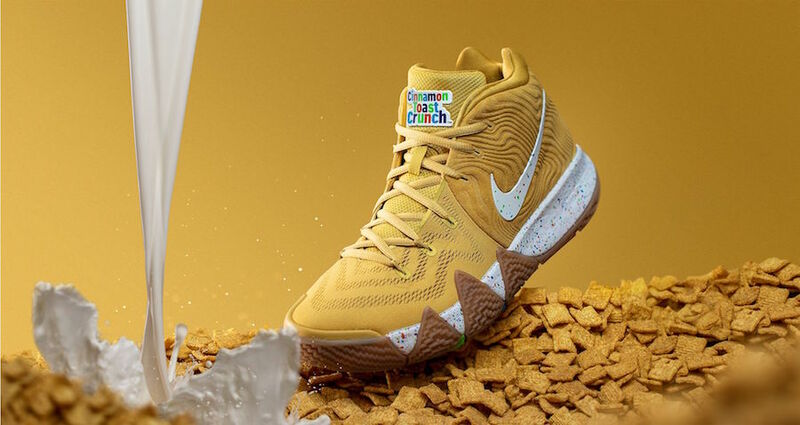 UPDATE: Consisting of “Cinnamon Toast Crunch,” “Lucky Charms,” and “Kix,” the Nike Kyrie 4 “Cereal Pack” will release this weekend exclusively through the Foot Locker House of Hoops Mobile Trucks at the NY vs. NY Championship at Harlem’s Rucker Park at the Drew League in Los Angeles. The House of Hoops will also make stops in SoCal and in the Northeast from August 4th through August 6th. For those that can’t make the pop-up events, there will be a wider nationwide release on August 11th at select House of Hoops and Foot Locker locations.